How to Advertise a Going-Out-of-Business Sale. It is not every day that you have to advertise a going-out-of-business sale. In fact, you will probably have to do it only once. For most people in this situation, it is especially important that the sale be successful. Set up advertising in your store. You must mark your entire inventory. Use signs to indicate the discounted rate, and also note if it is already marked at that rate of if the discount will be taken off at the register. Use outdoor advertising space. Put signage in windows, doors and awnings. Place signs along the road. Make the print large and bold to attract as many customers as possible. Use the words, "Going Out of Business" to bring in the most customers possible. Mail invitations to all of your current clients in your database. This will notify them that you are going out of business plus advertise your final sale. You can use a postcard or email program to keep your cost low. Hire sign holders. Make signs on poster board and secure them to yard sticks. Hire someone to stand by the road and wave the sign. Hand out flyers. If you know the start date for your going-out-of-business sale, you can hand out flyers ahead of time to current clients. You can also put flyers on cars that park in your parking lot or deliver them to nearby houses. Advertise in the newspaper if your budget allows. It is important to advertise the minimum percentage that will be taken off merchandise. If you are liquidating your entire business, mention that everything is on sale. If you are planning to have only certain items on sale, mention that the sale is on select items only. Do not advertise that you are going out of business unless you are really going out of business. Some landlords may have restrictions for advertising a going-out-of-business sale. Do not advertise that you are going out of business unless you are really going out of business. 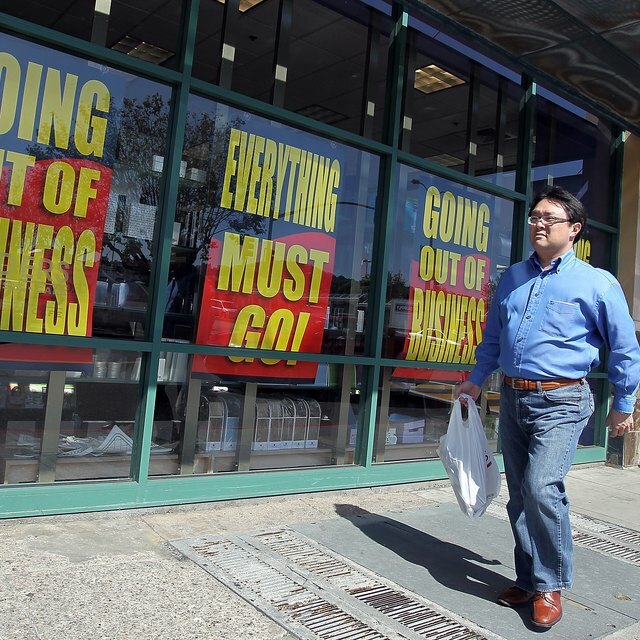 Some landlords may have restrictions for advertising a going-out-of-business sale.